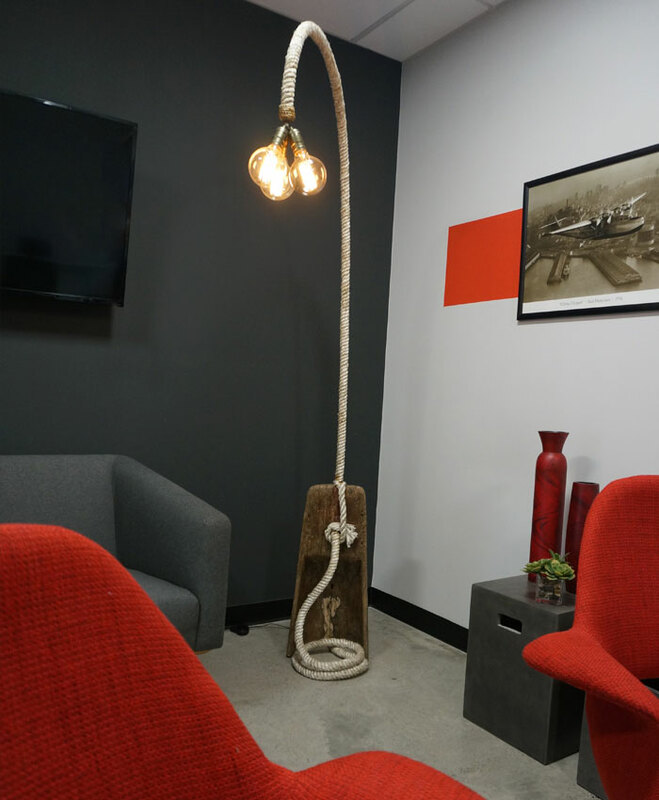 The Rope lamp was designed in Philippines. It is made from a broken boat left by Typhoon Haiyan. 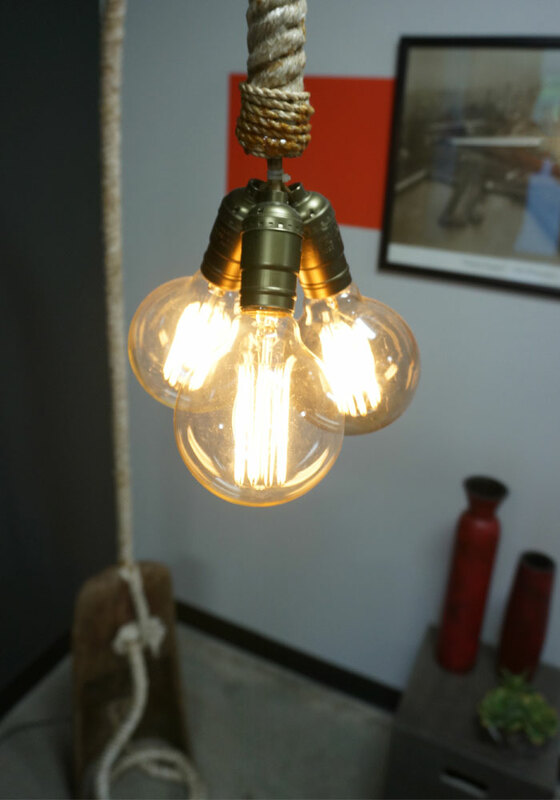 It was upcycled into a unique floor lamp that now sits in the office of the CEO of Servica. 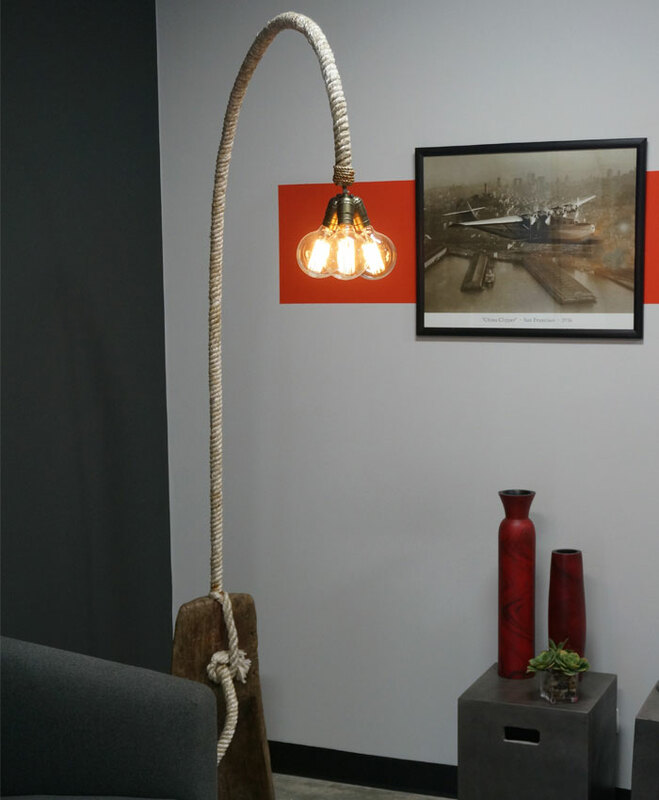 We created a technique which wraps the rope around a rod to power the the lamp.